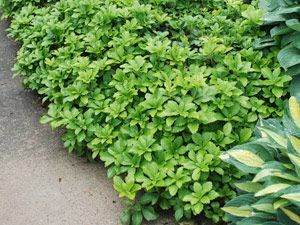 Cover a woodland floor with this green carpet, dense and compact at 6-10”, with thick green leaves and subtle white flowers in spring. Requires full shade for the darkest green foliage and will thrive in poor acidic soils and under pine trees. 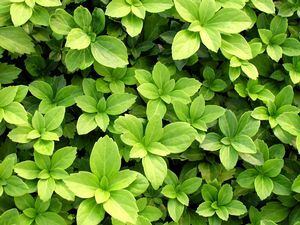 Long-lived, evergreen, low maintenance and weed-choking make Pachysandra the prime choice for large jobs in parks, along driveways, and in backyard woodlands.